Breaking PAC 12 records, defying expectations, and finishing the year on a high note. Washington State capped off its first 11-win season in program history with a 28-26 win at the Valero Alamo Bowl. A season that nobody saw coming came to a thrilling end Friday night in San Antonio, Texas, as Mike Leach and Co. gave Cougar fans a late Christmas present with a win in the Alamo Bowl. The victory capped off the best season in WSU football history, as your Washington State Cougars (11-2, 7-2) won 28-26 against the Big 12’s Iowa State Cyclones (8-5, 6-3). CSN photographer Jack Ellis was in the Alamodome capturing the game’s biggest moments and plays. Not much hasn’t already been said about star QB Gardner Minshew II, so I’ll just say this. Congratulations on a fantastic season Gardner, and thank you for bringing joy to a program that needed it more than ever. WSU’s receiving corps’ biggest strength is its youth. Only Seniors Kyle Sweet and Robert Lewis depart, with the top six players in terms of yards all returning in 2019. 92.9% of receiving production from 2018 will don the crimson and gray next season. One of the best parts of bowl season is the families of the players often get to travel to watch their kids play under the stadium lights. Calvin Jackson Jr. (Left) and Easop Winston Jr. (Right) greet family and friends before kickoff. For one final time, Senior Captains Kyle Sweet and Peyton Pelluer meet at midfield for the pre-game coin toss. The Cougars won the toss and elected to receive the opening kickoff. After a fumble by James Williams on the Cougs’ opening drive, it was up to the defense to sway the momentum back into WSU’s favor. This materialized quickly, as Jalen Thompson picked off freshman QB Brock Purdy’s first pass attempt of the game. WR Easop Winston Jr. made the most of his first year at Washington State with 48 receptions and a team high 8 TDs. Winston Jr. had 4 receptions for 43 yards (22 long) in the 2018 Alamo Bowl. Special Teams coach Matt Brock applauds his unit as an Oscar Draguicevich punt was successfully downed at the ISU 3-yard line. Special Teams has been an asset to the Cougs in 2018, rather than the liability of years past. The 2018 Alamo Bowl was the first matchup between the two programs, and WSU can now claim an undefeated record against the Cyclones. ISU featured First Team All-American players in CB Brian Peavy and RB David Montgomery, with QB Brock Purdy selected as the Big 12 True Freshman Player of the Year. Sophomore WR Renard Bell opened the scoring with a wide open 22-yard reception in the first quarter. It was Bell’s only reception of the night, but arguably one of the biggest of his career. DB Hunter Dale tracks down ISU’s David Montgomery, stopping the All-American RB for a 5-yard loss. Montgomery ran for 124 yards on 26 carries (4.8 AVG), but was largely held to small, incremental gains. Hunter Dale shows off his moves to the 60,675 fans in attendance, the highest Alamo Bowl crowd by two out-of-state schools since 2004 (Oklahoma State vs. Ohio State, 65,265). 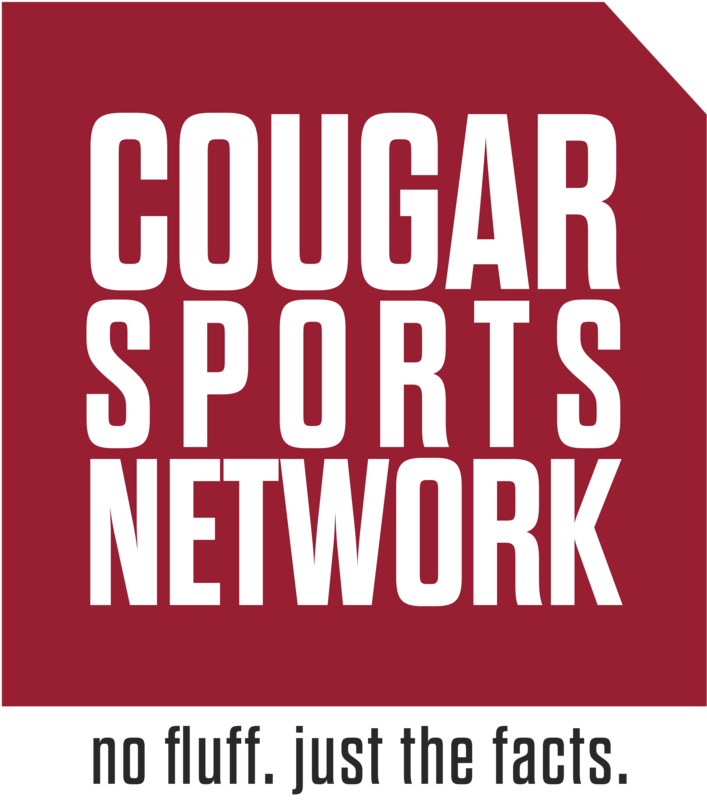 During a media time out early in the second quarter, a familiar video to Cougar Nation played on the Alamodome’s four monitors. The “Back Home” video has become a staple of Cougar football since 2015, getting every WSU fan in attendance on their feet and singing along. What can’t this man do? QB Gardner Minshew II found the endzone with his feet on a 7-yard scramble halfway through the second quarter to put the Cougs up 14-0. Minshew II led the rushing attack with 16 yards on 6 carries. WR Dezmon Patmon stretched out to complete a 9-yard TD pass with just 1:02 remaining in the half, giving the Cougs a commanding 21-7 lead. Patmon led WSU with 76 yards on 6 receptions, and finishes his Junior campaign with a team-high 816 receiving yards. K Blake Mazza went a perfect 4-4 on extra points, congratulated by OL Christian Haangana. Look at the sheer body type difference between the two players; Haangana (345lbs) is over double the size of freshman Mazza (165lbs). After being assisted off the field shortly before halftime with an apparent head injury, Hunter Dale ran out of the locker room looking ready to go. Dale’s presence on the field and leadership cannot be overstated, giving the Cougs a needed boost going into the second half. KR Travell Harris prepares for the kick after a quick scoring drive by ISU coming out of the half. Harris has broken several big runs this year, including a return close to midfield (WSU 46) in the Alamo Bowl. Sophomore CB George Hicks III saw significant playing time on Friday night. With the loss of Darrien Molton to graduation, Hicks III will compete for a starting position in 2019, and the experience of a big game will pay dividends down the road. QB Gardner Minshew II threw for 299 yards and 2 TD’s, setting a PAC 12 record for single-season passing yards with 4,779. The previous record holder was now-LA Ram Jared Goff (4,719, Cal). Mike Leach talking to his offense after a forgettable third quarter that brought the WSU lead all the way down to one point. WSU proved once again to be a fourth quarter team, outscoring their opponent in the final quarter for the 11th time this season. RB James Williams goes aerial against ISU DB Braxton Lewis. Williams’ hurdle is his signature move, but it seems to get prettier each time he does it. RB Max Borghi plowed through defenders en route to the endzone for the game-winning score early in the fourth quarter. WSU took advantage of ISU miscues, scoring 14 points off of turnovers in the game. LB Jahad Woods found the ball fall into his hands on a fumble by an ISU receiver and wasn’t stopping until he hit pay dirt. Although the play was called back as an incomplete pass, Woods’ effort all game was admirable (9 tackles, 5 solo). QB Gardner Minshew II takes one final knee in victory formation to seal the 2018 Alamo Bowl, giving WSU an 8-7 bowl record. The Cougs are now 2-0 in the Alamo Bowl, the other game being a 10-3 victory over the Baylor Bears in 1994. Senior Andre Dillard gets emotional as he celebrates his second bowl win as a Cougar. Dillard, a three-year starter, possesses accolades that include a First Team All-PAC 12 title in 2018, Second Team in 2016, and Honorable Mention in 2017. The Defensive MVP of the 2018 Alamo Bowl… Peyton Pelluer! Pelluer recorded 11 tackles (7 solo), in addition to 1 sack and a fumble recovery. He also had 1.5 tackles-for-loss. The Offensive MVP of the 2018 Alamo Bowl… Gardner Minshew II! Minshew II set an Alamo Bowl record with 35 completions, wrapping up his WSU career with 42 total TDs and a single season school record 4,779 yards. Robert Lewis (Left), James Williams (Middle), and Jamire Calvin (Right) glory at the culmination of the greatest season in WSU football history. What an awesome recap! Thank you so much for sharing. I’m so excited for this group of kids and how they are finished out for them.